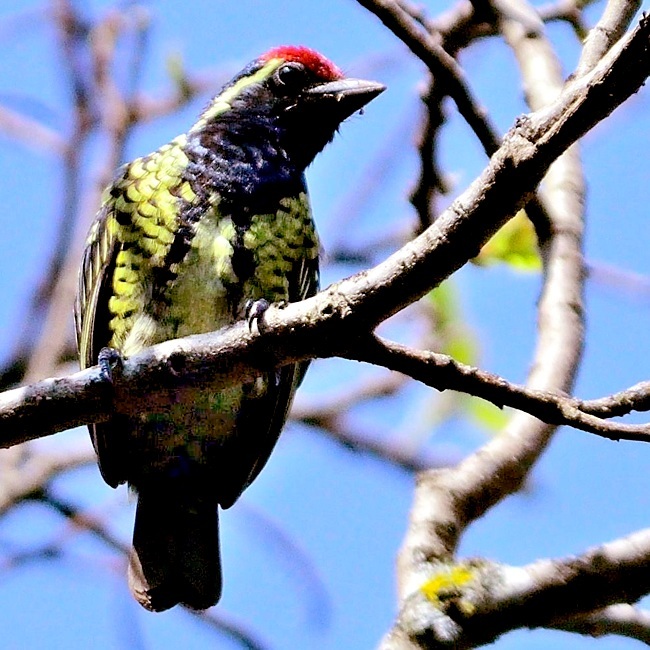 The yellow-spotted barbet is blue and black with yellow spots and bars and a red head patch. It is found in the forest canopies of northwestern Tanzania. The photo was taken in the Kakamega Forest (Kenya, 7-18), courtesy of Per Holmen.